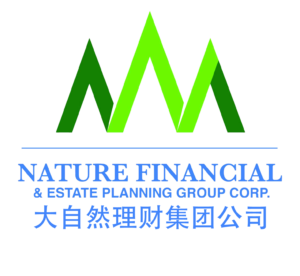 Nature Financial provides extensive financial services including all lines of insurance and investments. As the founder and president, Mr. Wallace Wang has almost 20 years of expertise in life insurance, estate planning, family and company wealth strategies. Wallace specializes in coordinating a full range of integrated planning opportunities regarding intergenerational wealth transfers. We resonate with clients’ ideas, create strategies accordingly and implement solutions. Our products and services ensure clients that their personal and corporate financial houses are in good order!